Karsten Fundal is widely acknowledged for working within many styles, genres and instrumental combinations, always with an unmistakable personal sound and quality and curious to break new ground. In recent years the rapidly increasing interest in Karsten Fundal’s music has led to a large number of commissions for new works, and has gradually won him a place as one of the major composers of his generation. In 2006 he won a Robert Award for best music for the acclaimed film The Art of Crying by Peter Schønau Fog. In 2007 Fundal completed the work on the music for the epic film Flammen & Citronen (Flame and Citron) directed by Ole Christian Madsen. Since then he has composed music for numerous films, like the Finnish documentary Canned Dreams by Katja Gauriloff, (Jussi Award 2013), the Danish feature Excuse me by Henrik Ruben-Genz, Danny’s Doomsday by Martin Barnewitz and the documentary The Act Of Killing by Joshua Oppenheimer, which was Oscar nominated in 2014 as well as winning a BAFTA 2014, a European Film Award in 2013 and about 30 other major prizes. The 3D documentary Halden, Michael Madsen’s contribution to the Wim Wenders and Neue Road Movies coproduction Cathedrals of Culture, set to music by Karsten Fundal, premiered at the Berlin International Film Festival 2014. Further film scores include the music to The Visit by Michael Madsen, which premiered at Sundance in 2014 (where Fundal was Composer in Spotlight), Bridgend by Jeppe Rønde, which had its world premiere at the Rotterdam Film Festival and received three awards at Tribeca Film Festival and Fúsi (Virgin Mountain) by Dagur Kári, which premiered at the Berlin International Film Festival 2015, won the top prize at Tribeca Film Festival and was awarded the Nordic Council Film Prize 2015. Furthermore, Karsten Fundal wrote the scores for The Shadow World by Johan Grimonprez (awarded with the Ensor for Best Documentary 2017) and Andrei Nekrasov’s The Magnitsky Act - Behind the Scenes, and set Lise Birk Pedersen's latest documentary Al magt til folket? to music. His most recent scores include the music to Feras Fayyad's documentary Last Men in Aleppo, which was awarded the Grand Jury Prize: World Cinema Documentary at Sundance 2017, the DOX:AWARD at CPH:DOX Festival 2017, the Robert Award 2018 and the Documentary Emmy Award 2018. Furthermore, it received nominations for an Oscar for Best Documentary Feature as well as for the Carl Prisen 2018 for Best Score. 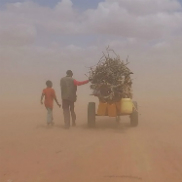 In 2017, Fundal also scored Human Flow, the first documentary feature by Chinese artist and filmmaker Ai Weiwei, with a premiere in the Competition Programme at Venice Film Festival, which was nominated for the Carl Prisen 2018 for Best Score. In March 2019, Doris Dörrie's film Kirschblüten & Dämonen was released in German cinemas and two films with music by Karsten Fundal were premiered at CPH:DOX - Ai Weiwei's documentary The Rest as well as Sun Hee Engeltoft's Forget Me Not. 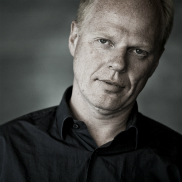 Karsten Fundal has studied composition with Hans Abrahamsen and Ib Nørholm, Karl Aage Rasmussen and Per Nørgård. A meeting with Nigel Osborne and (especially) Morton Feldman in 1986 at Dartington influenced Fundal's development as a composer, and in the years 1987-88 he studied composition with Louis Andriessen in The Netherlands. Fundal has written numerous orchestral and chamber works for all major symphony orchestras and ensembles in Denmark as well as chamber and orchestral works for several major soloists and music for dance. He wrote his latest composition for dance for the piece 360° by choreographer Stephanie Thomasen with a premiere in early 2015 with the Uppercut Dance Theatre. Fundals large orchestral work Liquid Rooms was premiered in fall 2014 and his latest children’s opera Goodnight my dear with a libretto by Tobias Ørum had its premiere in March 2015. Fundal has extensively collaborated with orchestras and various Indie projects such as Efterklang, Choir of Young Believers, Oh Land, Den Sorte Skole. The most recent collaborative opera project with Efterklang, Leaves – The Colour of Falling was premiered with great success at Copenhagen Opera Festival in August 2015, received the Carl Prisen 2016 and was nominated for the prestigious Reumert Award in the category Opera of the Year. Ten years after her drama Cherry Blossoms (Kirschblüten - Hanami), Doris Dörrie retells the story around the Angermeier family. Kirschblüten & Dämonen is a Japanese-German ghost story revolving around the recurring themes of Dörrie’s oeuvre: love, loss and family relationships as well as beauty and cruelty of life. Set to music by Karsten Fundal. Over 65 million people around the world have been forced to flee the only home they know to escape famine, poverty, climate change and war. In Human Flow, a breathtakingly epic film journey led by provocative international artist Ai Weiwei, this massive migration, the greatest human displacement in numbers since World War II, becomes a powerful visual expression – a hypnotic outpouring that defies invisibility — expressing both the staggering scale and scope of the refugee emergency and its profoundly personal human impact. Captured over the course of an eventful year by 25 different film crews in 23 countries, the film follows a chain of urgent human stories that stretches across the globe. From teeming refugee camps to perilous ocean crossings to closed, barbed-wire borders; from dislocation and disillusionment to courage, endurance and adaptation; from the haunting lure of left-behind lives to the unknown potential of the future, Human Flow is in constant motion with its subjects, searching for safety, shelter and justice. Human Flow comes at a crucial time, when tolerance, compassion and trust are needed more than ever. At the crux of this visceral work of cinema is a testament to the unassailable human spirit and a big question, the answer to which might define this human century: will global society surge from isolation and traumatization towards openness, acceptance and care for people in need? Oscar-nominated for Best Documentary Feature, Winner of the Grand Jury Prize: World Cinema Documentary at Sundance, the DOX:AWARD at Copenhagen's CPH:DOX Festival and the Robert Award 2018, Syrian filmmaker Feras Fayyad’s breathtaking work – a searing example of boots-on-the-ground reportage – follows the efforts of the internationally recognized White Helmets, an organization comprised of ordinary citizens who are the first to rush towards military strikes and attacks in the hope of saving lives. Incorporating moments of both heart-pounding suspense and improbable beauty, the documentary draws us into the lives of three of its founders – Khaled, Subhi, and Mahmoud – as they grapple with the chaos around them and struggle with an ever-present dilemma: do they flee or stay and fight for their country. 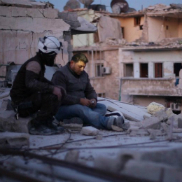 The documentary was praised by international critics, including a four-star review from the Guardian describing the film as "one of the most difficult documentaries you'll see this year," while Screen singles out how "the work of Fayyad and his dedicated team stands as a testament to what Syria, and the world, has lost through this conflict." After decades of suffering from a dysfunctional government and Berlusconi’s rule, Italy is on the verge of collapse. 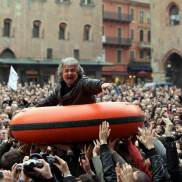 Enter Italian comedian, Beppe Grillo, and his political protest movement, Movimento Cinque Stelle (Five Star Movement), who in the spring 2013 won 25% of the vote in the italian parliamentary election. 'Tutti a Casa – Power to the People?' explores the current influence on Western democracies by populist movements, such as Movimento Cinque Stelle. The film documents a movement during in its inception and shows the difficulties that arise when revolution meets an established political reality. Lise Birk Pedersen's film - set to music by Karsten Fundal - follows this democratic experiment.